Now cooks on the go can prepare tasty, convenient meals at home in thirty minutes or less. Between work, raising children, or seeking that mythical me time, the home cook can get overwhelmed, putting preparation of healthy, tasty family fare on the back burner. This cookbook makes it faster and cheaper to prepare a complete, quick meal at home than to wait for take-out. 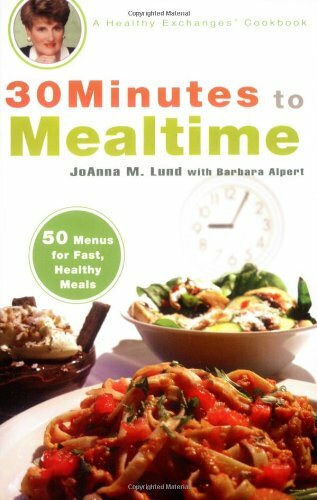 Here are 50 complete menus comprised of 200 recipes, each of which can be prepared from start to finish in half an hour or less. Also included are JoAnna's Ten Commandments of Successful Cooking, advice on how to read a recipe, and complete nutritional information for every dish.